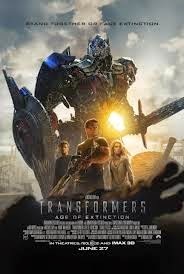 Storyline: As humanity picks up the pieces, following the conclusion of Transformers: Dark of the Moon, Autobots and Decepticons have all but vanished from the face of the planet. 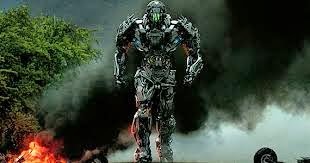 However, a group of powerful, ingenious businessman and scientists attempt to learn from past Transformer incursions and push the boundaries of technology beyond what they can control all while an ancient, powerful Transformer menace sets Earth in his cross-hairs. The epic adventure and battle between good and evil, freedom and enslavement ensues. My Thoughts: The Good: I enjoyed all the explosions. 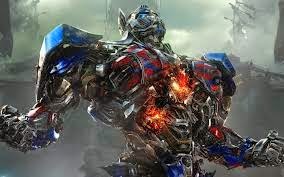 I loved seeing Optimus Prime on the big screen. Seeing him larger than life never fails. I enjoy hearing the sound of the transformation as it occurs. They had to end it with the opening to make another movie. Can we just end it already? The movie did raise some questions and added some background history. 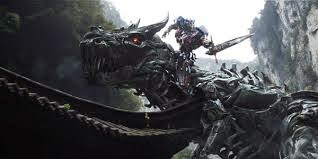 Best moment of course was when Optimus Prime was riding the Dinobot. Best Chuckle Moment: The Romeo and Juliet Law moment was the best. I will not spoil that part for you so if you check it out you will know exactly what I am talking about. The Bad: First things first the movie failed my RLS test. Which basically mean that my legs get restless and I start fidgeting in my chair because the movie went too long and I felt that it was too long. There is nothing wrong with a long movie but you have to keep me engaged enough that I did not feel that the movie was long. Other problems with the movie included but not limtied to the ridiculous billowing black coat scenes. It made no sense that James Savoy's (Titus Welliver) coat was the most interesting part about his character. There were also ridiculous moments of the humans being thrown in the air and caught multiple times and never hurt. That is statistically impossible. The Acting: Mark Wahlberg (Cade Yeager) played his typical macho guy role except that he had a daughter to watch out for. It was not much of a stretch for him. You have his cute daughter and her cute boyfriend but their names do not matter as they were just some nice eye candy. You had the cliché hot Asian chick (Bingbing Li) that knew how to fight. You had the concerned archeologist. You had the money hungry company man (Stanley Tucci) and you had the jilted army guy (Kelsey Grammer). Frankly James Savory (Welliver) and Harold Attinger (Grammer) should have been combined as having two separate characters made it hard to see the depth to either one of them. Another problem with Grammer is that his voice was too gravely and he sounded too much like Optimus Prime. I am not sure where they were going with that but it was the wrong way. Overall: The movie was okay. It was visually fun like only Michael Bay can do. He makes desctruction an art form in my opinion. So I would say check it out if you are a Bay fan or you love explosions. Save your money if you are looking for a story or substance. Leave your thoughts in the comments. Not bad. 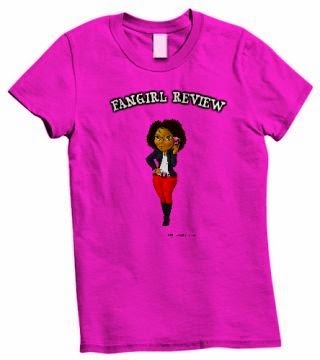 I forgot to add the whole Romeo and Juliet law in my review, that was crazy. Good review.